FOUNTAIN VALLEY, Calif., Dec. 11, 2015 /PRNewswire/ -- With added strenuous criteria in one of the industry's already rigorous testing of vehicle safety, the 2016 Hyundai Genesis and 2016 Tucson earned the Insurance Institute for Highway Safety's (IIHS) 2016 TOP SAFETY PICK+ awards. The IIHS TOP SAFETY PICK+ award helps consumers pick vehicles that offer the highest level of crash protection. 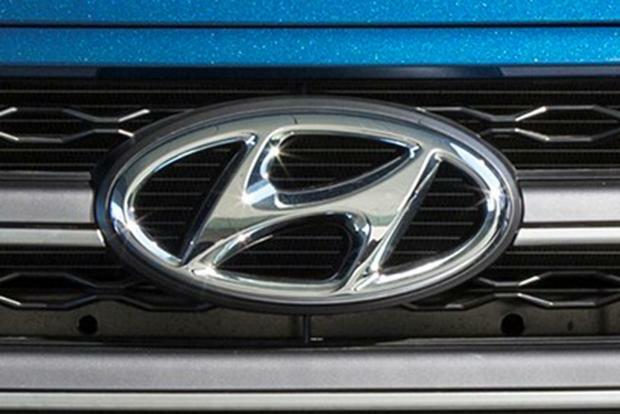 "Safety is a top priority at Hyundai, so we are pleased to see two of our vehicles of our vehicles on this prestigious list," said Mike O'Brien, vice president, Corporate and Product Planning, Hyundai Motor America. "Hyundai's emphasis on safety continues to shine through with the advanced safety technologies across our vehicle lineup, including autonomous emergency braking (AEB), lane departure warning with lane keep assist as well as emergency brake assist." IIHS rates vehicles in a small overlap front crash, moderate overlap front crash, side and roof strength, and head restraint tests, as well as a standard or optional front crash prevention system. Winners of the TOP SAFETY PICK+ award must earn good ratings for occupant protection in all five of the evaluations. For the first time, a good rating in the small overlap front crash test is required to earn the award. "The Genesis is equipped with Electronic Stability Control (ESC), nine airbags and energy-absorbing front airbags, while the Tucson has AEB, helping these vehicles earn our top rating," said Adrian Lund, IIHS president. "Both earned a required good rating in the small overlap front crash evaluation and a superior- or advanced-rated front crash prevention system with automatic braking capabilities, a key criteria to qualify for a TOP SAFETY PICK+ award." The 2016 Genesis is equipped with many advanced safety technology options, including ESC, Lane Departure Warning System, Tire Pressure Monitoring System, Brake Assist and Electronic Brake Distribution, Lane Change Assist and a rearview camera. In addition, the Genesis includes Sensory Surround Safety Technologies that help driver alertness and focus on total occupant safety, and even the safety of other drivers nearby. Multiple advanced safety technology options are also available on the 2016 Tucson, including AEB with pedestrian detection, Lane Departure Warning System, Blind Spot Detection, Rear Cross-Traffic Alert, Lane Change Assist, Backup Warning Sensors and a standard rearview camera. In addition, advanced high-strength steel represents more than 50 percent of the new Tucson's structure, for enhanced crash safety. The vehicle also features a standard Tire Pressure Monitoring System (TPMS) that alerts drivers if one or more tires are under-inflated, and includes the tire's location. Hyundai Motor America, headquartered in Fountain Valley, Calif., is a subsidiary of Hyundai Motor Co. of Korea. Hyundai vehicles are distributed throughout the United States by Hyundai Motor America and are sold and serviced through more than 830 dealerships nationwide. All Hyundai vehicles sold in the U.S. are covered by the Hyundai Assurance program, which includes the 5-year/60,000-mile fully transferable new vehicle limited warranty, Hyundai's 10-year/100,000-mile powertrain limited warranty and five years of complimentary Roadside Assistance. Hyundai Blue Link Connected Care provides owners of Hyundai models equipped with the Blue Link telematics system with proactive safety and car care services complimentary for one year with enrollment. These services include Automatic Collision Notification, Enhanced Roadside Assistance, Vehicle Diagnostic Alert, Monthly Vehicle Health Report and In-Vehicle Service Scheduling. Hyundai Headquarters come to the rescue! Genesis SUV To Put The Bling On Hyundai Santa Fe?